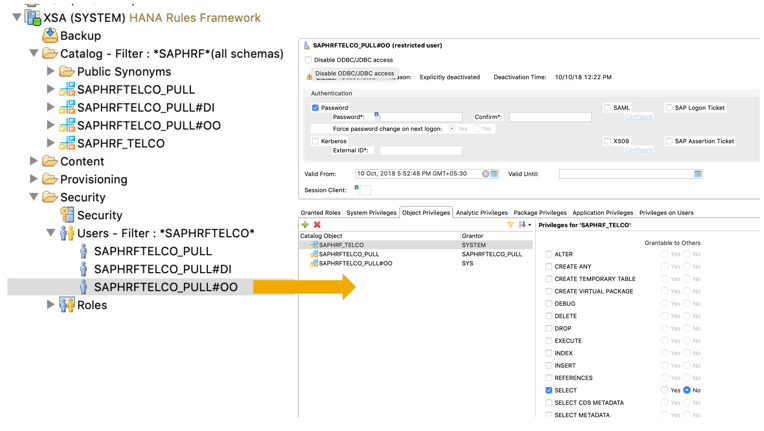 In my previous blog you learnt how to author and deploy rules from SAP Cloud Platform Business Rules to SAP HANA (XSC) system but I keep receiving lot of queries on how to deploy business rules to SAP HANA (XSA) system – and in this blog I will address this and show you how to do that. Before I begin let me brief you on the intension and the need of the two different deployment models. SAP HANA is an in-memory data platform supporting both analytical and operational processing, including transactional support – and mixes of these as well – to meet wide range of requirements. Beside the database capabilities, SAP HANA has many extra features like predictive analytics, text search and mining etc. Taking advantage of these core HANA processing capabilities, SAP planned to embed a set of applications and web-server within SAP HANA – and so SAP HANA extended application services (XS) was first launched with SAP HANA SP05 release. Both XSC and XSA were completely different in concept – with new advanced models, tools, and application servers. While migration tool was available, but the complete 100% migration was not possible instead it needed a redesign to handle the conceptual differences. This was around 2016. XSC is now deprecated. In SAP HANA 2.0, XSA has become the framework recommended (as default) for new native application development. From SAP HANA delivery strategy, XSC will be supported in SAP HANA 1.0 SPS 12 and SAP HANA 2.0 but shall be removed from later versions of SAP HANA. This recommendation was thus studied and meticulously applied to business rules framework in SAP HANA. SAP HANA Rules Framework was the rules technology developed on top of SAP HANA XSC and will be supported until HANA supports XSC – but eventually you need to migrate to XSA – and then you also have to migrate your business rules. SAP Cloud Platform Business Rules is the tool to author, manage and deploy business rules based on SAP HANA XSA data models. In this blog, I am going to explain you how-to achieve that. As most of the concept remains same as for XSC, I will only cover the differences here and rest you can read from my previous blog. 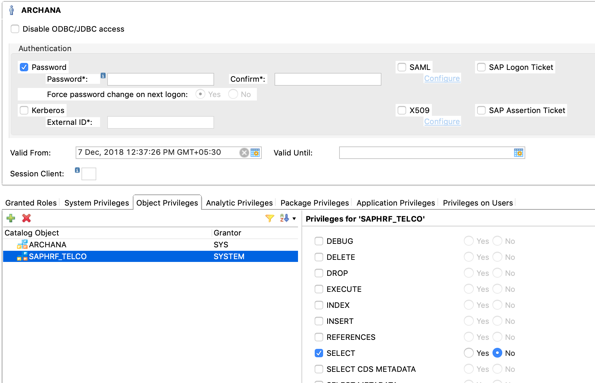 As direct deployment of business rules from SAP Cloud Platform Business Rules is not yet available in the product, here is a small utility MTAR (multi-target application) that need to be set up in your SAP HANA XSA environment. 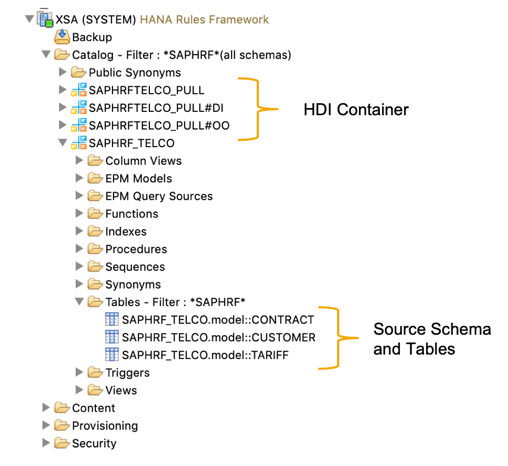 This will enable you to explicitly call deployment of business rules based on XSA data models. note: From the output, copy the URL. This would needed as host when you run the deploy API. 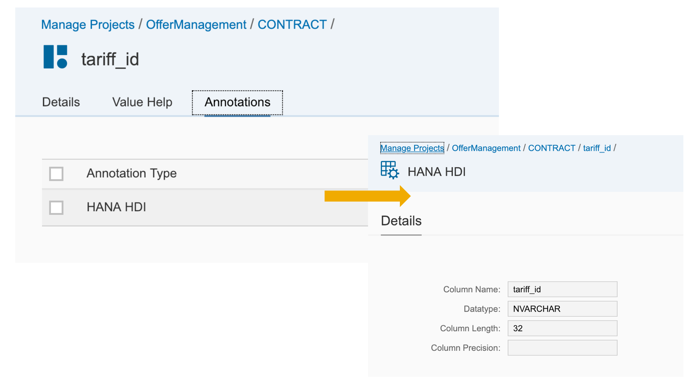 Choose HANA Advanced as the annotation type. 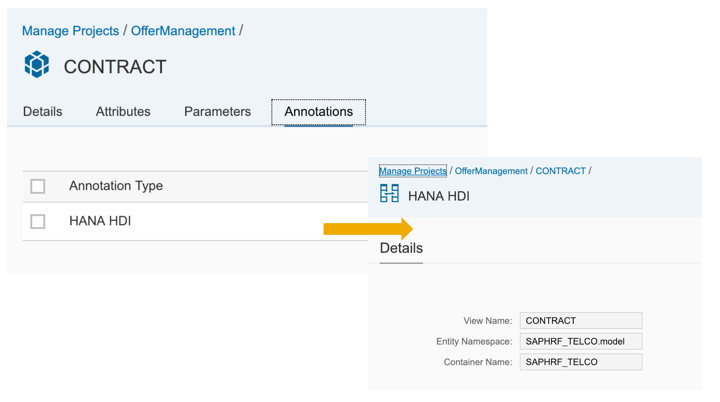 Source Namespace and Source Container: details respective to SAP HANA XSA artefacts where the generated SQL procedure for business rule will be generated. 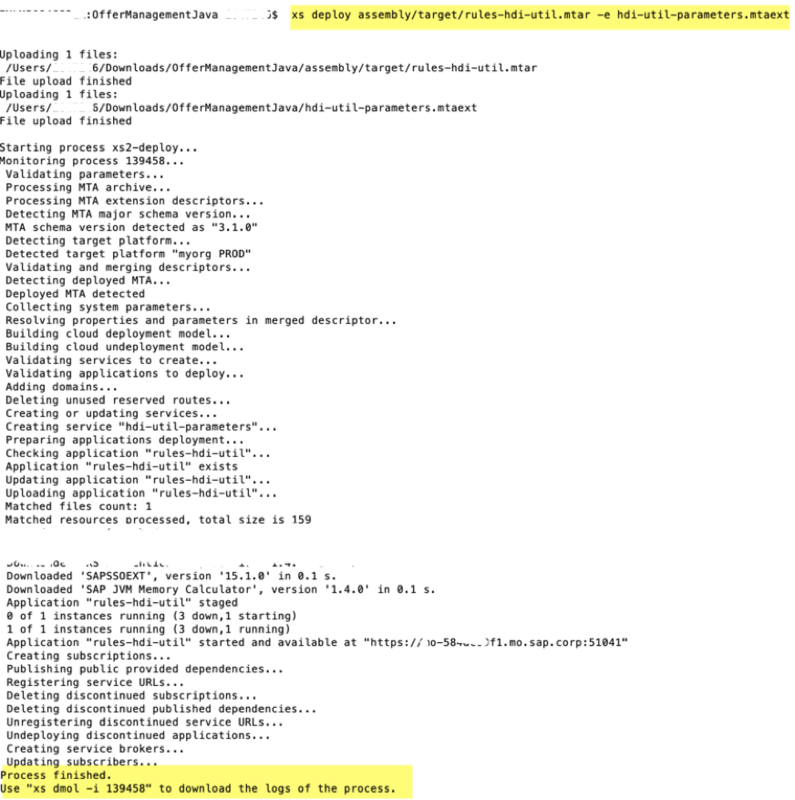 Target Namespace, Target Container and Target Synonym: provide details if you wish the rules procedure to be created in the synonym. .. that’s the only configurations you need to make – Annotations to data objects, attributes and rule-service. Rest you model remaining artefacts like rules and ruleset as usual. Finally, before you call the deployment service, you need to ensure that all the rule data models like project, data objects, rule-service, rules and ruleset are saved and activated successfully. Once the deployment is successful (you will get 200 OK as response), a SQL procedure (for the rule service) and table types (one for each input and result usage type as described in the rule service vocabulary). The SQL Procedure will be generated in the source container as specified in rule service annotation. 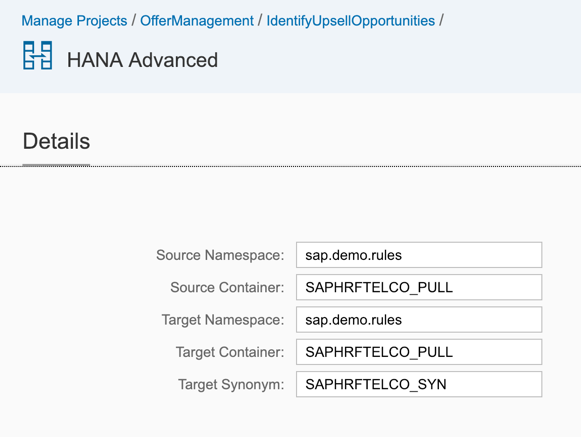 With one-time setup of this application in your SAP HANA system, you can use it to deploy your business rules built on XSA data objects. 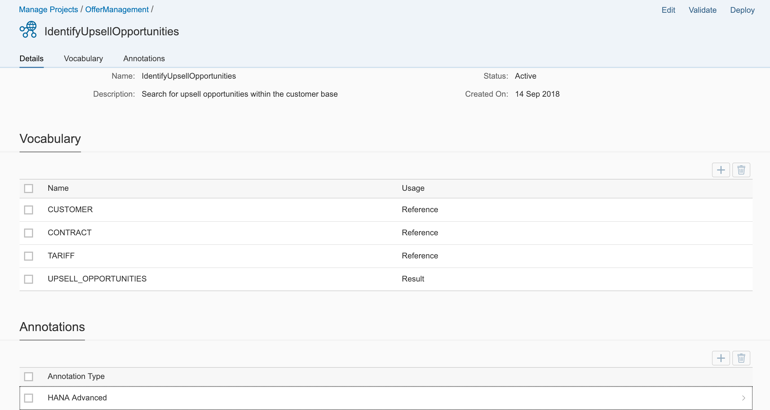 This will soon be productised and then direct deployment option will be available from SAP Cloud Platform Business Rules. Once available, all you need to do it delete this xs application from your system without any need to change your business rules.